This tour by Goway Travel was the one we choose to highlight last week — until we stumbled upon their spring sale price on a Classics of Peru tour, which we just had to bring to your attention because it is a time-limited offer! But this fantastic tour to South Africa is worth equal consideration — you know, if seeing lions and rhinos and elephants in the wild, and if spectacular scenery and exploring ancient cultures ignite your imagination. Big 5 wildlife viewing, but also giraffes. South Africa is not only known for its incredible Big Game viewing but by its stunning geography, thriving urban centers, and cultures that date back millennia. So, if road tripping under open skies and across vast rugged landscapes with breathtaking views is how you like to explore the planet, this two-week trip from Johannesburg to Durban to Cape Town — much of it along the country’s eastern Indian Ocean coast — could be your 2019 bucket-list experience. 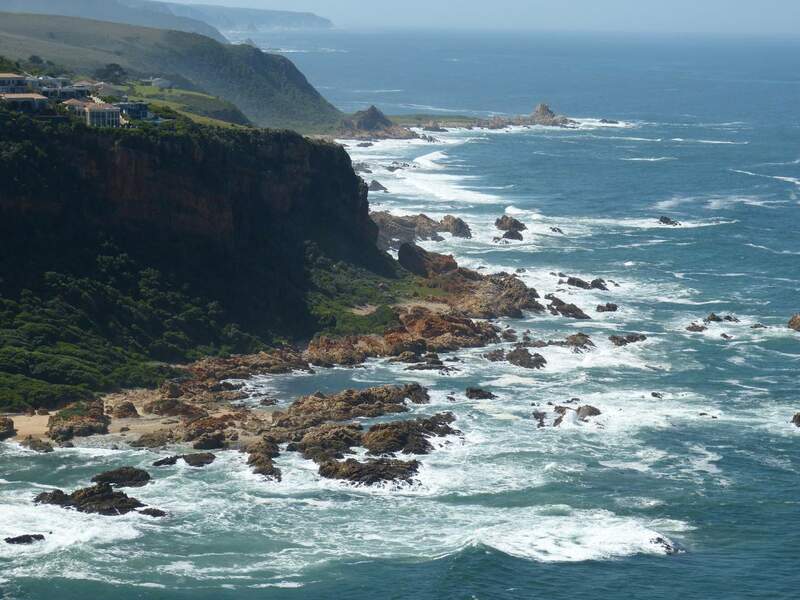 The spectacular views along the Garden Route of South Africa. Exploring Mpumalanga, South Africa’s most eastern province, and its Lowveld (subtropical region), driving along the Panorama Route to one of the best viewpoints of Blyde River Canyon (the third-largest on the planet) and one of Africa’s top attractions. Kruger National Park, arguably South Africa’s (even greater Africa’s!) most famous conservation area, where you’ll go in search of the Big 5 — lion, elephant, buffalo, rhino and leopard — in open-vehicle safari-style. And giraffes — you’ll likely see giraffes, too. The Southern Drakensberg Mountains, with its stunning waterfalls, lakes and peaks, with an option for trekking. Visiting the birthplace of Nelson Mandela, South Africa’s renowned anti-apartheid activist, president and Nobel Peace Winner. Stopping in Swaziland: a small independent country nestled within the borders of South Africa, known for its local ancient culture and incredible craft markets. Exploring KwaZulu-Natal, with safari option in Hluhluwe-Imfolozi Park (extra fee). St. Lucia, a lovely UNESCO World Heritage town on the Indian Ocean coast, where you can explore Greater St. Lucia Wetlands Park which is prime hippo habitat.